Kids 1st Wynyard opened in December 2007 and is situated in Wynyard Park. The nursery is split into rooms depending on age group and level of development and each room has direct access to large, well-equipped and challenging gardens which have been designed to suit the age groups that use them. In the academic year before the children are eligible for mainstream school they will enter the Kids 1st Pre-School. 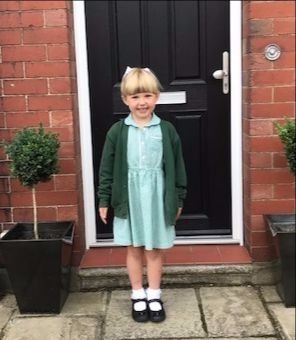 In August 2015 Kids 1st Wynyard achieved their second Outstanding Ofsted Report and was also named the second ‘Highest Recommended Nursery in the North East’ on daynurseries.co.uk. 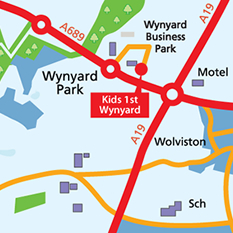 The nursery is situated between the A1 and A19 which allows for trouble-free drop offs for those parents who use the motorway for work.